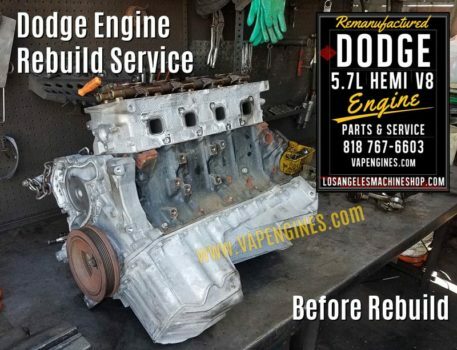 Chrysler Jeep Dodge 5.7 Hemi engine rebuild from start to finish. What’s on the rebuild agenda: Teardown and Inspection, Clean and Hot tank the components, checking for any damage. 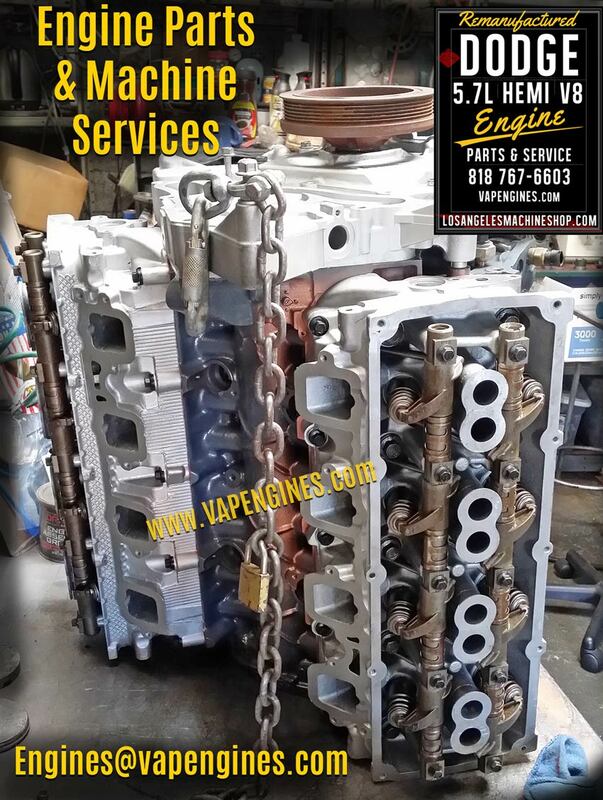 Once apart, cylinder heads get a valve job. Engine block bore and honed. Crankshaft and camshaft will get reground and polished. Recondition connecting rods. 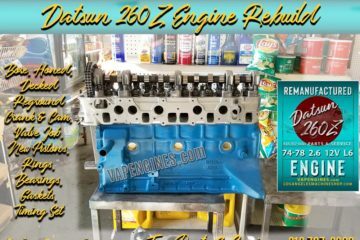 Order new engine parts once we determine any size changes (Engine Rebuild Kit). Clean, paint, and assemble. Any broken or missing parts are repaired or replaced. It’s time to freshen up the cylinders on this engine block, getting a nice finish with a good crosshatch. After we clean all the gunk and scrub it, we’re ready to tackle those cylinders. Once we bore all eight, we are ready for the honing machine. Check out a few photos of the process. These heads were in good shape. 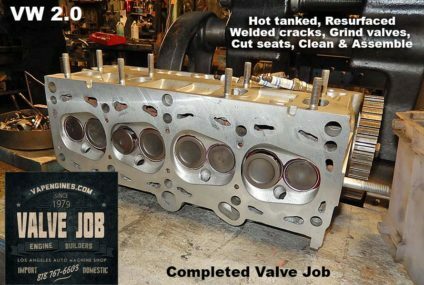 If you are familiar with 5.7’s and 4.7 Chrysler, Dodge or Jeep heads, you know they often drop seats or get that chunked up metal by the valves. These two were in good condition. No extra work involved. If they did need it, we would have inserted new seats to replace any dropped broken ones. Basic Valve Job includes: Resurface, Grind Valves, 3 angle cut valve seats, New valve stem seals, Clean, and Assemble. If needed, new guides. 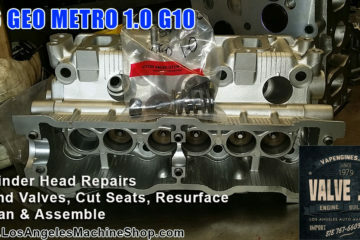 Any broken or missing parts are replaced (valves, springs, seals, seats, crack repair, etc.). 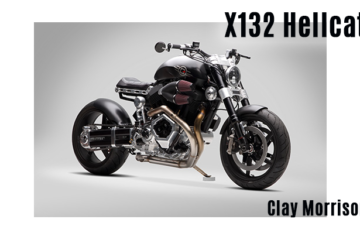 What comes in the Engine Kit? 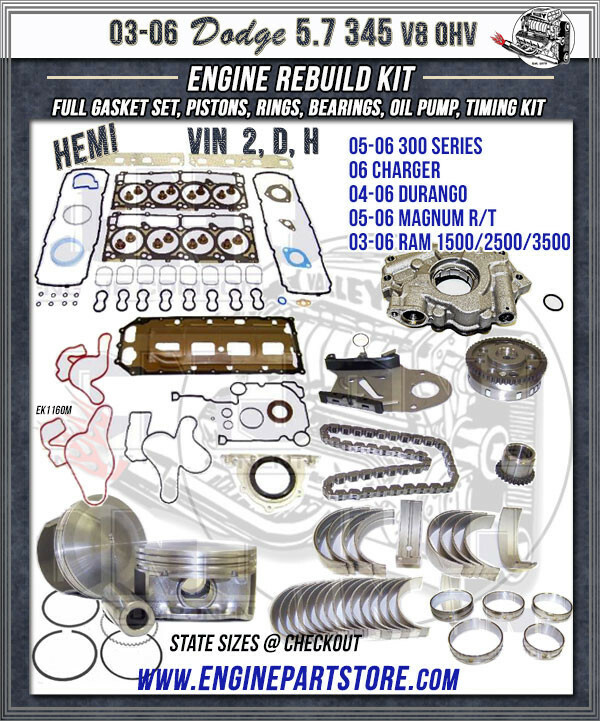 New Pistons, Rings, Rod bearings, Main bearings, Cam bearings, Full Gasket Set, Timing Chain Set, Freeze Plugs, Thrust Washers, and an Oil Pump. I didn’t take any photos of the parts by themselves, but I have a promo for the engine kit. Ok, we’re ready to start working on the 5.7 Short Block. 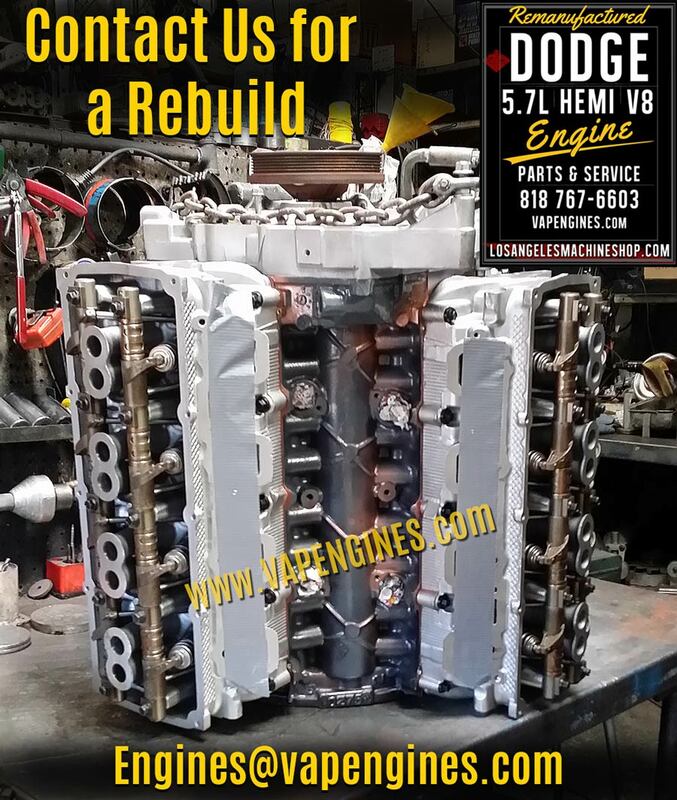 We’ve Reconditioned the Crankshaft, Camshaft, and the Connecting Rods. Valve Job performed on the cylinder heads. Engine Block has been Bore, Honed, Cleaned, and Painted. Pistons are hung, it’s go time. Crank, Cam, Timing set, Pistons, Rings, Rod, Mains, and Cam bearings installed. Time to put on the head gaskets and bolt on the cylinder heads. 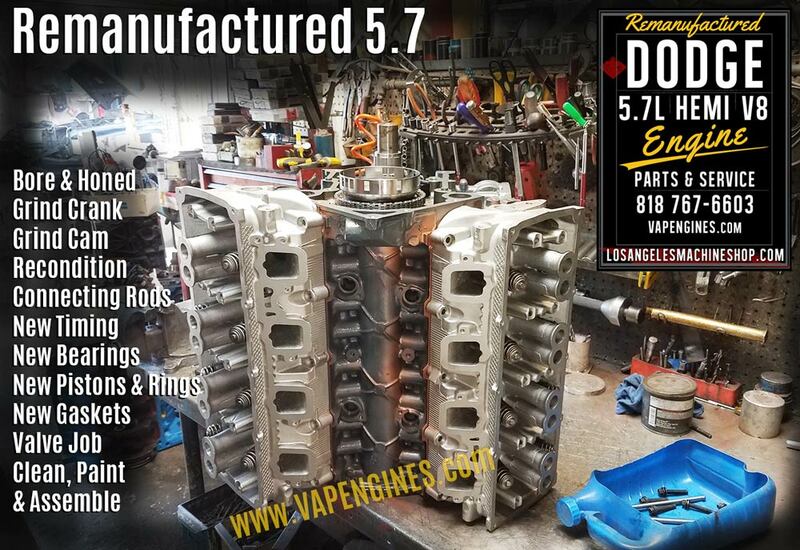 CONTACT US for Chrysler Dodge 5.7 MACHINE SERVICES OR ENGINE PARTS. Use the Contact page for Emails. Remanufactured Chrysler Jeep Dodge 5.7 Hemi Engine Rebuild Shop.